The players stuck are on a balkanized world awaiting repatriation at the poor-quality starport after their contract is fulfilled in yet another of the planet’s wars between two rival factions. While imbibing the swill that passes for whiskey at the starport’s only bar, a party member spots an old friend, and sometimes rival, named Kellan. Years of merc work have left Kellan a shaking shell of the young Marine Officer of 20 years ago. A disastrous mission during this ticket saw Kellan busted to Private for dereliction of duty. Furthermore, Kellan has been severely wounded in both legs. He should survive, but his days of run-and-gun are clearly over. He calls one of the party closer (the one he knows the best), and the two converse in hushed tones in a corner alcove of the dark and stinking bar. Kellan has stored the coordinates of a hidden Aurum module, an advanced sensor pod which his unit was using during the conflict. As it would happen, Kellan relates sullenly, he was the only survivor when his unit was overrun. 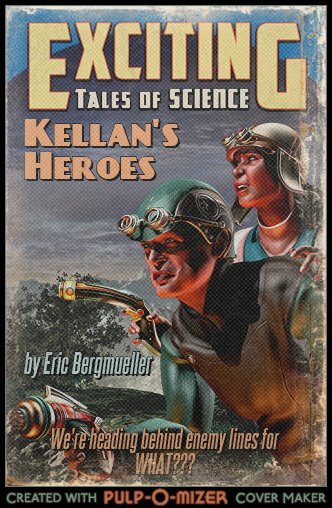 Kellan planned on returning and recovering the pod, but had not planned on being injured. He is willing to share the coordinates with the group if they recover the pod. Oh, and by the way, the pod is nearly 1000 km behind enemy lines, and the fighting continues. Kellan’s offer is as follows: he will exchange the coordinates of the sensor pod for one-quarter of the total shares of profit once the group assembles, recovers the pod, and the pod is sold. He requests to hang on to the group’s repatriation bonds to insure he is not cut out of the deal. Kellan has hidden two Air/Rafts about 1 km from the starport, and will even provide his personal “Merc Roladex” should the players feel they need to beef up their party. Time is of the essence. While the conflict continues, other merc units might stumble across the sensor pod, and take it for their own. At full speed, the air/rafts could conceivably reach the area of the pod in 10 hours, but a slower, stealthier approach would seem more logical. The sensor pod weighs 100 kg, and is a cylinder roughly 2 meters long by .25 meters in diameter. A quick database search reveals the Aurum module has a list price of nearly 15 MCr. Even at a conservative estimate, the sensor pod could be sold quickly for 2-3 MCr with no questions asked, once it is spirited off-planet. How the players achieve this is up to their own creativity. The sensor pod is nearly 1000 km from the starport, and it is located between almost midway between two known Planetary Defense Batteries. Kellan shares that one is thought to be abandoned, but his information is sketchy as to exactly which one is abandoned, and which one is manned. In fact, only one PDB is manned. It is up to the referee to determine if it is the one closer to, or further from, the Aurum module. The main enemy forces in the vicinity of the pod consist of a reinforced battalion of mechanized infantry, equipped to TL9 standards. Of course, other small units will probably be encountered en route. The referee may develop the details of this opposition force, or may choose a more abstract system of resolving actions, based on the size of the player’s party, and their planning and execution of the mission. Clearly, a small force of players may be weak militarily, but will be harder to detect, and conversely, a larger force will be stronger in combat, but will attract more attention on the battlefield. 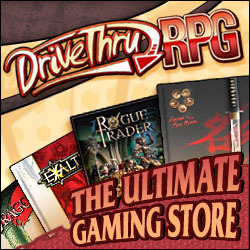 Ideally, the players will limit their party to fewer than 10 individuals, and no more than 3 vehicles. NPCs will expect equal shares once the pod is sold unless noted otherwise. Based on these numbers, each share could be worth up to 300,000 Cr. Big Joe – An experienced NCO, Big Joe is able to lead by example, command, and shoot with the best of them. He is a big man, tough, and all business. He is a good tactical planner as well. Sometimes his yelling and insults actually shuts down his men, rather than motives them into action. See Babra, below. Louis “Crapgame” Finkle – A fixer and likable rogue, Crapgame has an angle on almost everything. Perhaps not the most combat-able soldier, his network of connections might make him worth more than is at first apparent. Little Joe – A wiseguy with a smart mouth and mad driving skills. If it rolls, flits, or flies, he is your man. Bellamy – Bellamy is a pilot, and has a modified Type-S Scout at his disposal. The modified ship can transport the pod and up to 12 people without over-taxing the life support systems. The ship is not armed, but has a stealth package which makes detection more difficult. He will not, however, risk flying the Scout in to pick up the pod, since it is right near one, and possible two Planetary Defense Batteries. Bellamy also expects triple shares of the treasure. And he’s loudly insistent on not being cut out of his shares. Cowboy – A soldier from a rural background. He has a battered straw hat, smells badly, and is an artiste with a Gauss GPMG. Babra – Babra, or “Barbara” is a soldier who is short of stature. He can get into small spaces if needed. He is proficient with small arms, but his main ability is to calm down Big Joe by enduring his jokes, sarcasm, and insults. Babra might not seem smart, but he can be an effective enhancer to Big Joe. Additionally, there are about 100 or so other mercs milling around the starport. If the players want to flesh out a whole merc company, it would be possible, but the individual shares would give a smaller monetary split, and such a group would be considerably less “discrete”.